Want to own a true piece of history? How about one of the karts that got Ayrton Senna into racing? Bonhams has one of Senna's karts up for auction soon, a 1981 DAP kart, chassis number DAP BH 33. According to the listing, it's the last kart Senna ever drove in competition. 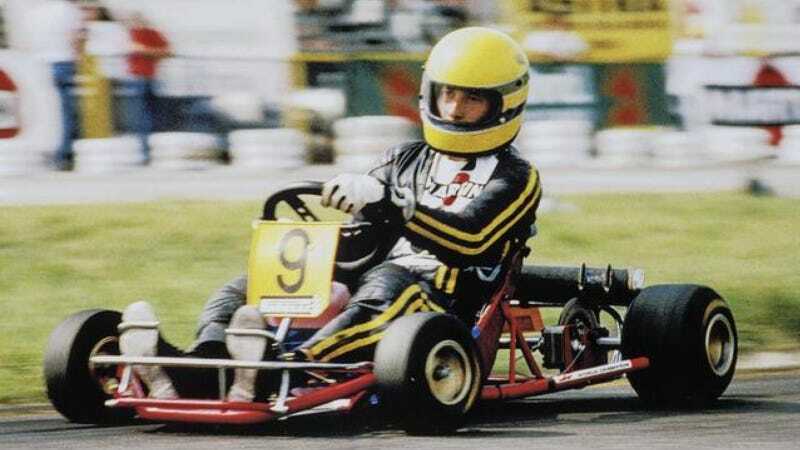 Many professional drivers get their start racing karts, including Ayrton Senna. There isn't a lot to the little kart, but you don't need a lot of extra stuff because race kart. The engine, unfortunately, is not original to the chassis, as the kart was purchased sans engine. A period-correct engine has been installed to make it drivable, however. It's a fully functional kart. Estimated to sell for between $27,ooo and $32,000, Senna's kart could be yours. You could drive the same go kart that catapulted Senna into fame. Amazing. All photos belong to the auction listing.